On tonight's episode, we talk a little bit about the Castlevania 4 episode anime and transition into cartoon and TV adaptations of video games. &nbsp;We have some fun interacting with some of our guests in the chat room. &nbsp;We discuss why do western adaptations miss the mark while eastern adaptions fair better. On tonight's episode, we talk a little bit about the Castlevania 4 episode anime and transition into cartoon and TV adaptations of video games. We have some fun interacting with some of our guests in the chat room. We discuss why do western adaptations miss the mark while eastern adaptions fair better. It's been a long time since I have done one of these. So here are two games I think you should definitely check out. I am not going to limit it to one system like I have in the past with each Quick Pick. Let's Begin. 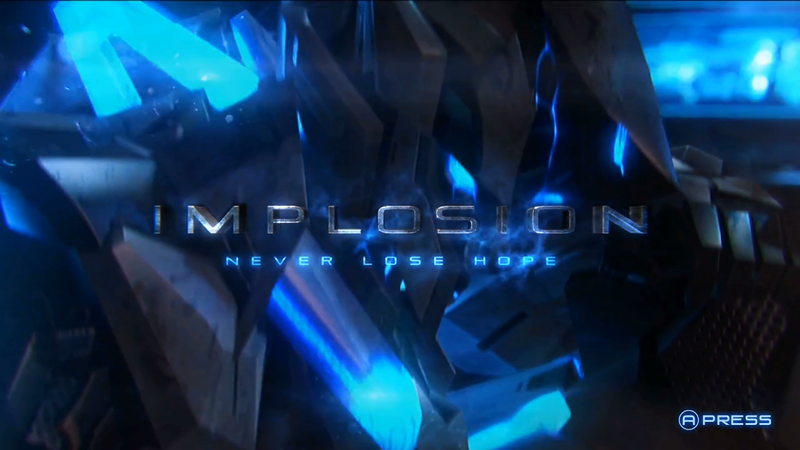 Implosion is a hack 'n' slash action game that was ported from iOS and Android systems. The gist of the game is that humanity had escaped to the stars after the XADA came out of nowhere and nearly wiped them out. Now humanity uses War-mechs to take on the XADA and ensure the survival of the human race. Implosion is a very simplistic action game with two attack buttons and special attacks that can be registered to an assigned button. You even have a dodge that allows you to evade some nasty attacks. Combat and controls are relatively smooth for the most part. There are times when you might get stuck in an attack animation and cant dodge a crushing boss attack. My little brother joins me tonight on GameJam for another episode of Original vs Remake. Tonight we play the classic pc adventure game, Space Quest EGA(1986) and it's VGA remake(1991). Tonight my wife joins me as we play Castle of Illusion on the Sega Genesis and it's remake on the Xbox 360. Check out how much stuff was changed for the remake and how hard the original was. Tonight on GVN Live we talk about reactions to youtuber Dunkey's video of game reviews and we discuss if 5 game franchises should be rebooted, remade, get a sequel, or killed off. AUDIO WARNING! TURN DOWN YOUR SPEAKERS!! First off I want to apologize about the audio levels. The audio levels were the same for my last stream and were perfectly fine, but tonight the gameboy audio was incredibly loud and drowned us out. We kick off Original vs Remake GameJam month with Final Fantasy Adventure and it's remake, Sword of Mana. I am joined by Gamer Keith who is playing the remake.